A three day event featuring some of the very best tribute acts in Europe and the USA. An event that Elvis fans can truly lose themselves in. 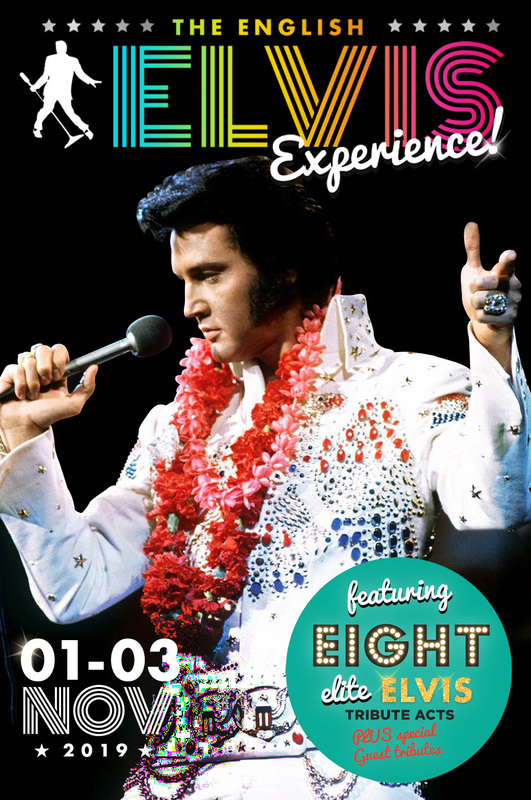 Enjoying original Elvis concerts on screen to live music by elite Elvis tribute acts featuring an 8 piece band with backing singers that are unrivalled in creating the concert sounds and authenticity of Elvis’ music. Click the button below to view our promotional video! The first major Elvis event in the South East of England. This 3 day event is all under one roof for those that are quick to book the beautiful Copthorne Hotel Effingham Park, Gatwick. The hotel is surrounded by acres of stunning Sussex countryside, the county that Lisa Marie Presley called home for over 10 years. Visit the English Elvis Experience website by clicking the button below to book your tickets today!